Queenslanders are once again being encouraged to lace up and register for Bridge to Brisbane to give hope to Queenslanders affected by cancer! Cancer Council Queensland has been named as an official charity partner of the Sunday Mail Bridge to Brisbane, giving locals the chance to run with purpose and make a difference with each step taken. Bridge to Brisbane, held Sunday, August 26, will see over 25,000 Queenslanders take part in a 5km or 10km fun run from Roma St Parklands, over three iconic bridges, before finishing at South Bank. Participants are encouraged to get active and run with Team CCQ to raise vital funds for Cancer Council Queensland. Cancer Council Queensland CEO Ms Chris McMillan said those who ran with Team CCQ in Bridge to Brisbane would give hope to the 27,000 Queenslanders diagnosed with cancer each year. “We are extremely proud to partner with such an iconic event like Bridge to Brisbane as one of their official charities of choice,” Ms McMillan said. 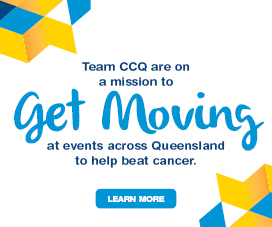 Team CCQ is a fitness team founded as part of Cancer Council’s Get Moving campaign – an initiative encouraging runners, gym-goers, and fitness enthusiasts across Queensland to lace up their joggers for the cause. “A third of all cancer cases are preventable through healthy lifestyle choices, including being active and maintaining a healthy weight,” Ms McMillan said. Participants of Bridge to Brisbane can take part in either a 10km or 5km fun run. 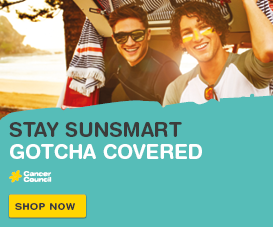 To register, visit cancerqld.org.au/be-involved/fundraise/get-moving/bridge-to-brisbane. 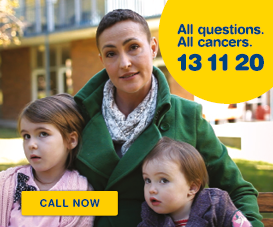 For more information about Cancer Council Queensland, visit www.cancerqld.org or call 13 11 20.